Mikael Blaisdell & Associates have been involved with vendors and customers of the contact center management technology sector since its beginning, and have developed some specific services to address the needs of both. Our work with customers to identify, select and implement center technologies has built a substantial depth of expertise in all facets of the purchasing and deployment process. At the same time, we have worked with the technology companies themselves to do market research, design product and upgrade feature & functionality sets, advise on channel development, create support groups and to write reviews, commentary and white papers on all aspects of the industry. 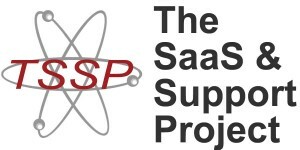 The SaaS & Support Project began a series of online research surveys and in-depth follow-up interviews in 2009, producing a ground-breaking Report at the end of the year. The work of the Project continues with the introduction of further online research and direct analysis with a range of companies.